Sony and its frequent camera releases: is it positive or negative? You are here: Home / In Depth / Mirrorless Musings / Sony and its frequent camera releases: is it positive or negative? The announcement of the new Sony a6500 has generated a mix of excitement and controversy about the company’s aggressive strategy. While some have praised the giant Japanese corporation for constantly evolving, others have become bitter about the frequent camera releases. Why? Because it is frustrating to think that what you just bought yesterday has been replaced by a more advanced version today, and will probably lose its value very quickly as a result. Is Sony’s dynamic strategy a positive or negative thing for the market and its customers? Let’s try to answer this by analysing a few different topics. The a6300 announced in March 2016 was a relevant step forward in comparison to the a6000, released in February 2014 (a two-year gap). 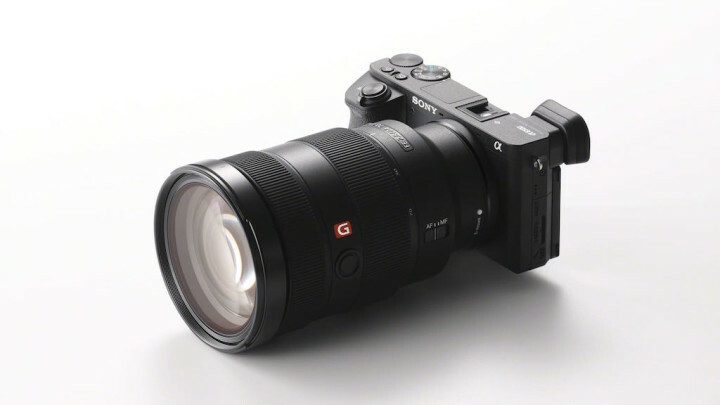 Sony added 4K video, more advanced functionalities, a new sensor, a faster autofocus system (the best in the E-mount line-up), better continuous shooting speeds and a more robust body with weatherproofing. The a6500 comes 8 months after the a6300 and this short gap surprised us all. The new camera adds some features that many users were expecting on the a6300 in the first place. We finally have a touch sensitive rear screen, a feature that the entry-level a5100 had kept for itself up until now. 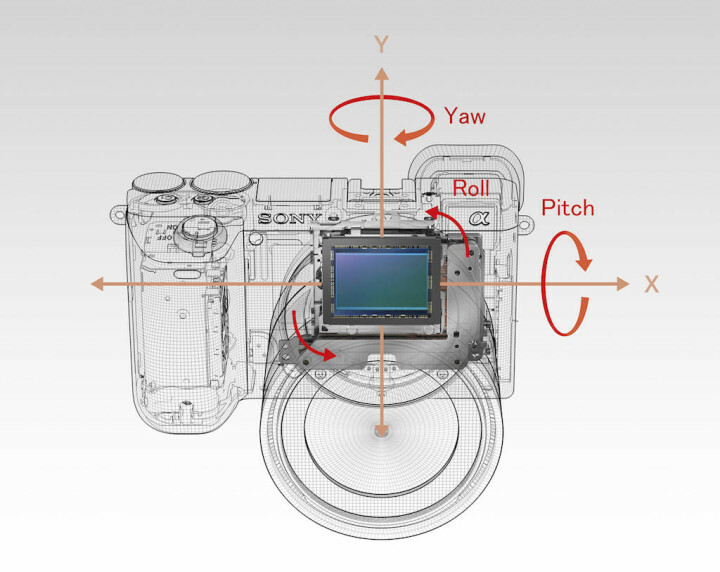 Then we have 5-axis stabilisation which is a first for an APS-C E-mount camera but has been successfully implemented on the A7 II series before. Other additions include an upgraded sensor with an LSI chip that increases the buffer capabilities and the High ISO quality but it’s safe to say that touch sensitivity and in-body stabilisation are the two main upgrades that customers were demanding. They also included a new setting to fix the overheating issue that affects many a6300 samples. This could lead us to think that Sony listens to feedback and as a result, released a new camera to fulfill these requests. But the question is: couldn’t they have waited a little longer to release an a6300/a6500 with all the features of the latter? The request for a touch screen has been around for ages and was mentioned in many reviews including ours. With 5-axis stabilisation, it was easy to predict that users would ask for it after seeing how effective it is for the FE system. 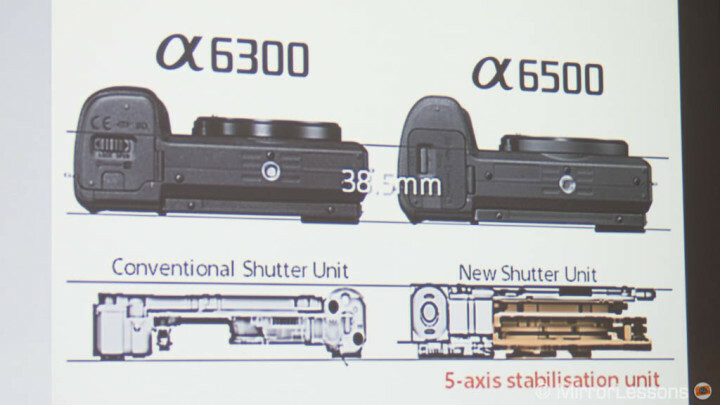 When the a6300 came out, we first thought that the body was too small to implement it but then Sony managed to re-design the shutter mechanism in order to accommodate the IBIS mechanism as you can see in the slide below taken from the a6500 press event. Honestly, this doesn’t come as a surprise: Sony has proved in the past to be very capable of integrating lots of complex hardware into smaller bodies (think about the RX100 series and the built-in EVF). In a way, it does feel as if Sony rushed to get the first camera out, only to follow up with a second, more “complete” package. Perhaps the overheating fix could be one of the most important improvements as far as real-world use for video is concerned but it could also reinforce what I just said above: the a6300 wasn’t 100% ready to be released. However we can analyse the story from an another point of view: having only the a6000 and a high-end model like the a6500 would have created a substantial price gap. The a6000 has been very successful because of the perfect balance between quality and affordability, so I’m not sure users would have been happy to see a jump of almost $900. So instead, Sony decided to keep all three models on the market: a6000, a6300 and a6500. Together they form the a6000 series with three different “logically spaced” price points. In other words, today customers have more choice. A second question can be: is the a6500 worth the extra money in comparison to the a6300? We’ve demonstrated many times the advantage of in-body stabilisation here on MirrorLessons and a touch screen is definitely useful. So I would be tempted to say “yes” while I wait to see how much better the buffer and low-light capabilities are. and an extra C button on the newest camera. However I can’t help but wonder: why didn’t Sony take the opportunity to update the design of the a6500 in addition to specifications? Yes, there is slightly more substantial grip and an additional custom button but if this really is the flagship model, I would have loved to see other features like: more dials on top to control exposure more quickly, and a larger body that doesn’t compromise the compactness of the system but could have introduced a dual SD card slot (accessible via a robust door on the side instead of the bottom) and a larger battery. A dedicated AF Joystick on the rear would have been another welcome addition. The feeling is once again that we have a camera that lacks a few things, which is the same impression I had when Heather and I reviewed the a6300. Sony listens to customers but they seem to filter requests and prioritise technological advancements above all. They don’t ignore the other feedback completely – the overheating fix is the latest proof – but they can be slow to respond. Yes, we (finally!) have a new menu interface but my first impression is that too little has changed. What is clear about Sony’s strategy is this: they like to maintain the same camera body and update the technology inside it. 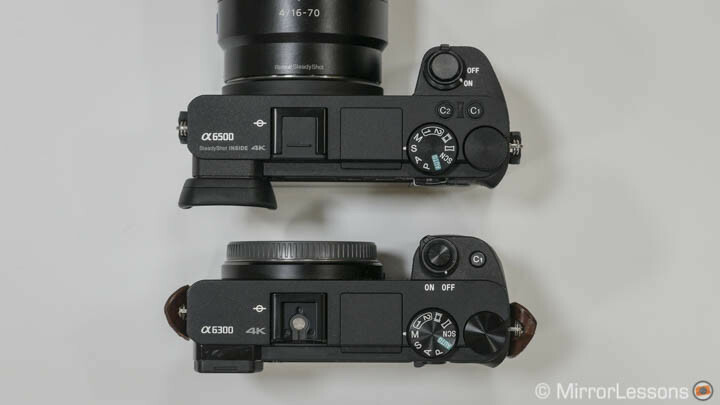 We can find multiple examples: the Nex 6/7 and now a6000 series has maintained more or less the same design with small upgrades and even a few downgrades (Tri-Navi anyone?). The RX100 series is even more interesting because Sony has maintained the same pocketable size while including things like a pop-up EVF. To be fair, most camera companies maintain a very similar design throughout multiple generations. Sony isn’t doing any different but I do believe their cameras need a little more work than others. Care for the smallest details often, if not always, makes for a better camera. Fujifilm learned this with the X-T1 and made the appropriate changes on the X-T2. We could argue that a larger body would bring the camera closer to the A7 series and that might be true. But I am sure some changes can be made without compromising this aspect too much (again, Sony is the master of incorporating as much as possible into a small body). Furthermore, when you see some of the promo images for the new camera, you may start to think that a slightly larger body may not be a bad idea. I’ve reviewed the lens above and it’s exceptional but definitely not designed for such a small body. Sony wants to show that its FE products are 100% compatible with its APS-C bodies but to me it reinforces one of the biggest limits of this camera and the APS-C E-mount system in general: the choice of quality lenses is more limited than with the FE system. Some full-frame lenses like the 70-200mm f/4 can work very well on the a6000 series but others are simply too large and heavy. a6000 < a6300 < a6500. Then we have the a5000 and a5100 that make up the a5000 series which is an entry-level segment. (The a6000 series is the mid / advanced line-up.) There is also an a3000 series, by the way, which is a cheap DSLR-style model that has now been discontinued in some countries. 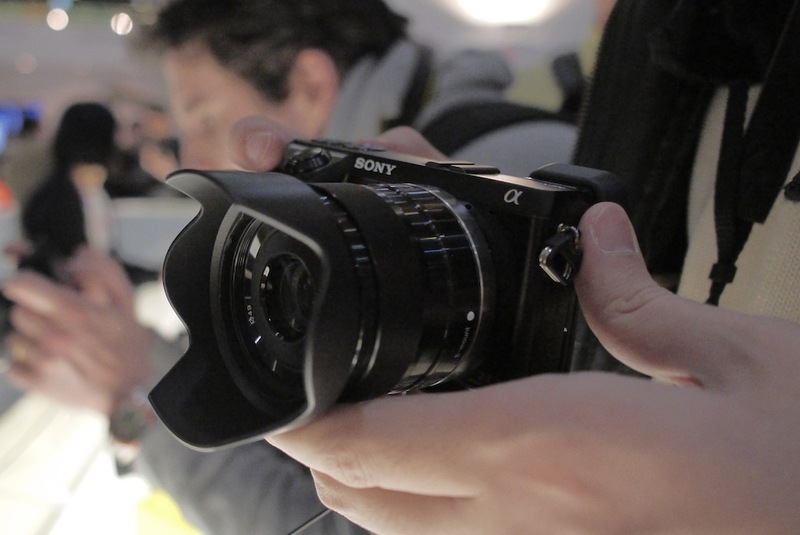 Those following the E-mount system since the beginning know that Sony used to call its APS-C mirrorless series NEX. We had Nex 3, Nex 5, Nex 6 and Nex 7 and each segment received different updates, sometimes very minor but the organisation was clearer. It gets confusing when we try to categorise the new cameras by referring to the old naming style. We could associated the a3000 series to the old Nex 3, though the design is completely different. 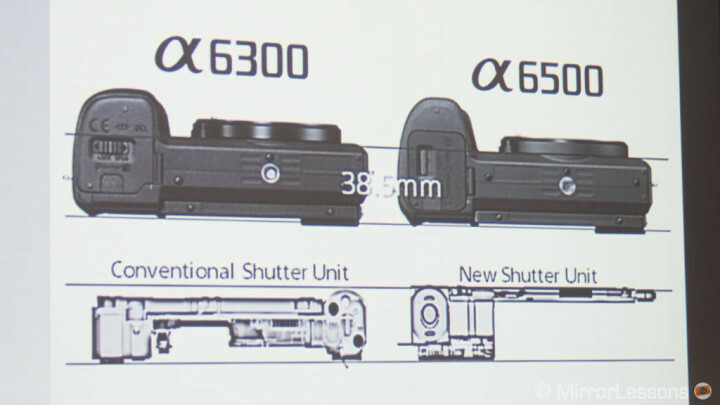 The a5000 series is the old Nex 5, although the a5000 model feels closer to a Nex 3 in terms of specifications and price. The a6000 series is similar to the Nex 6 but what about the Nex 7, which was the old flagship model: has it been replaced by the a6500 or will there be something else? Having just a number instead of 4 for each camera was less confusing. Until you saw the arrival of a Nex 8, or Nex 7 mark II, you knew there wasn’t a replacement for the flagship model. With the new naming scheme and Sony’s dynamic and often unpredictable strategy, it is difficult to be sure if the a6500 will remain the flagship model. Perhaps a small hint is that the official a6500 press release mentions the word “flagship” while it didn’t for the a6300 eight months ago. But that doesn’t mean the brand can’t change its mind later on. 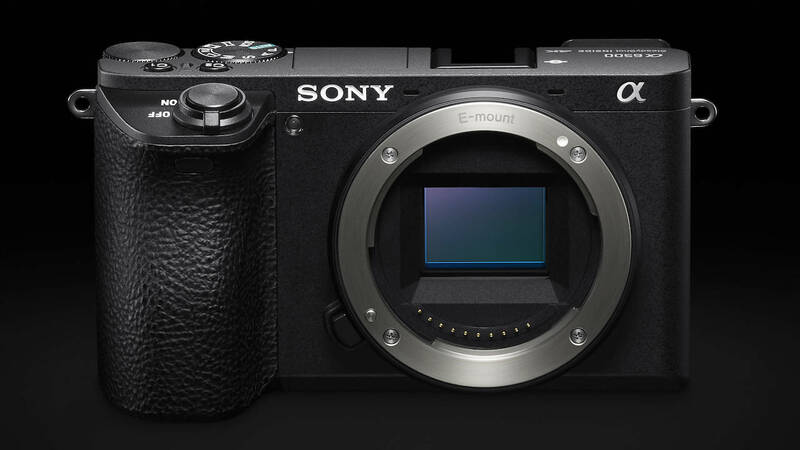 We can always stop comparing the new names to the old ones and just accept that the E-mount system has evolved in a different direction but that nagging doubt will still remain: will the family expand to include an a6700, a6900 or a7000 in the (near) future? This final point can confuse customers who may decide to wait for the next iteration or for prices to drop when the next camera is announced. There is often this feeling of “should I buy now or should I wait?”. I guess the best answer is to stop thinking about what the future holds, see what is currently available and decided if it’s enough for your needs (in most cases, it is). Still, I can understand the frustration if something you bought a month ago suddenly gets “downgraded” by something new that has more features and fixes the issues of the camera you just bought. Another valid point is the recent Kumamoto earthquake and how difficult it was to buy a Sony camera in the several months following the disaster, including the a6300. I also heard that some shops ordered a larger quantity of cameras to be sure to accommodate customer demands. However the question that arises now is: will enough people still buy the a6300 or will they wait for the a6500? And in that case, will the shops be able to sell the leftover a6300 samples easily? The answer to this will probably vary from country to county, and from market to market. For example the European price is more expensive than the US price and that might not help. What is important to remember is that the digital camera market in general is not doing well. Sony is obviously benefiting from its strategy because it’s the mirrorless brand that sells the most. In some European countries they’ve even surpassed DSLR sales (according to Sony, February 2016). 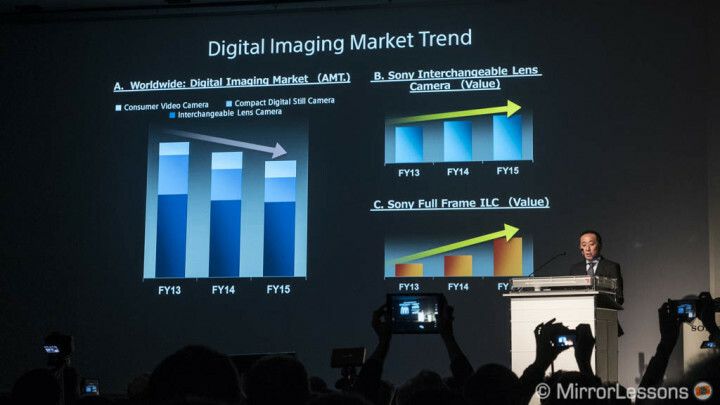 Sony also said at the recent Photokina press conference that their interchangeable lens camera business has been growing over the past three years, unlike the worldwide digital imaging market that is decreasing. 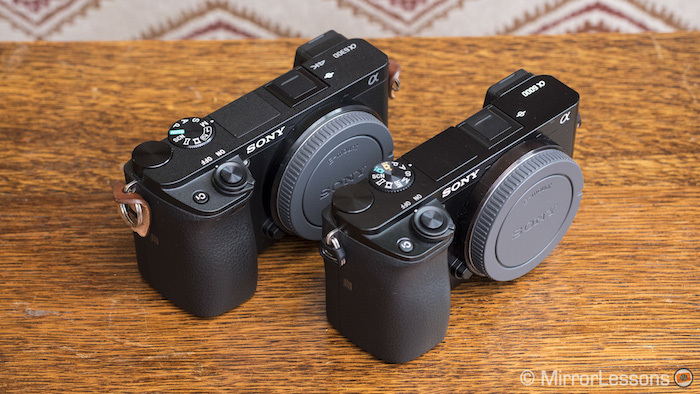 Another thing to consider is that Sony currently has two main systems (full frame and APS-C), in addition to their compact camera and smart camera ranges. 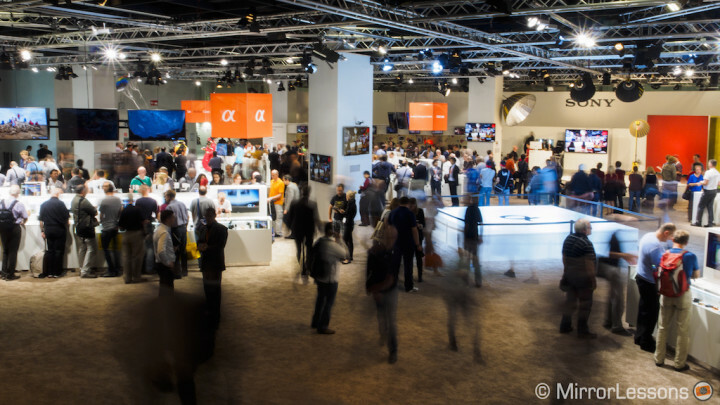 They are still developing new A-mount cameras like the recent a99 II presented at Photokina a few weeks ago (although the most exciting specifications are often seen in mirrorless cameras). So by producing more cameras, Sony obviously sells more and I am really glad they do, otherwise it would be worrying! However when you have so many cameras, it becomes difficult for customers to understand which they should choose. Think about A-mount users: while new E-mount cameras were sprouting like mushrooms, the A-mount system barely saw an upgrade in the past two years. 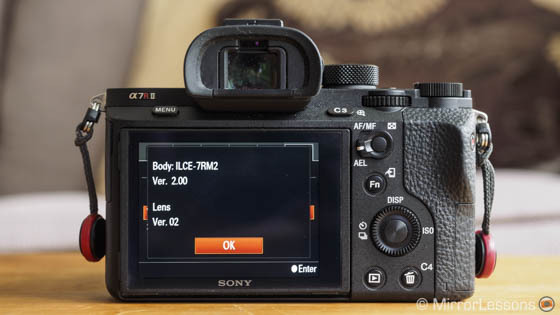 These users could have started to think that the brand was abandoning the DSLT system and had begun to switch over to the E-system, something encouraged by Sony itself since the AF of several of these cameras is compatible with A-mount lenses. Then suddenly a new a99 II appeared. Don’t get me wrong; it’s great news for A-mount users but I wish Sony were clearer in its communication. To be fair, some Sony managers stated in interviews that they were fully committed to the A-mount system but other official sources also gave contradictory responses like this one. Comparison to other brands: does Sony really not care? The a6500 topic has also generated some comparisons with other brands and one in particular: Fujifilm. While Sony was announcing its new APS-C camera, Fujifilm released a number of firmware updates for new and old cameras as well as its lenses. Many praised the care Fujifilm has for its customers, even those who own a 4-years-old product like the X-Pro1. Undeniably, this is a good strategy to grow a group of faithful customers. A7r II (current firmware is 3.30, released in August 2016): among the interesting features introduced since the camera was released, we find uncompressed RAW (requested by customers). A7 II (current firmware is 3.20, September 2016): among the various updates we find uncompressed RAW and phase detection compatibility with DSLR lenses (requested by customers). 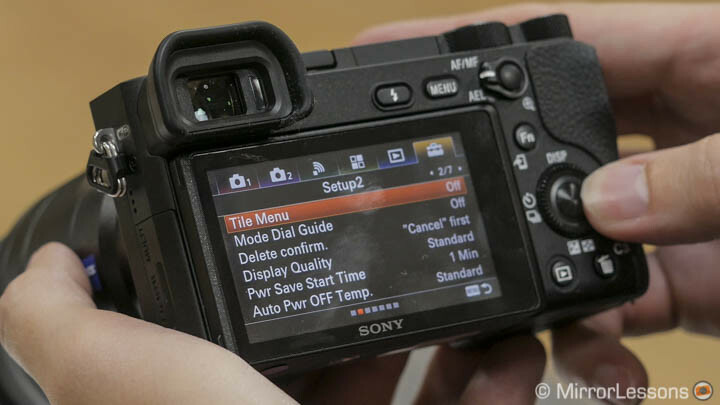 a6000 (current firmware is 3.20, July 2016): among various things, they included the ability to record XAVC S video to SDHC cards (less expensive than SDXC cards). There are many other updates designed to improve the AF, image quality, start-up time, and compatibility with new lenses and accessories. So yes, we can argue that Sony’s firmware updates are not as rich as some Fuji updates but they are there and they are recent. 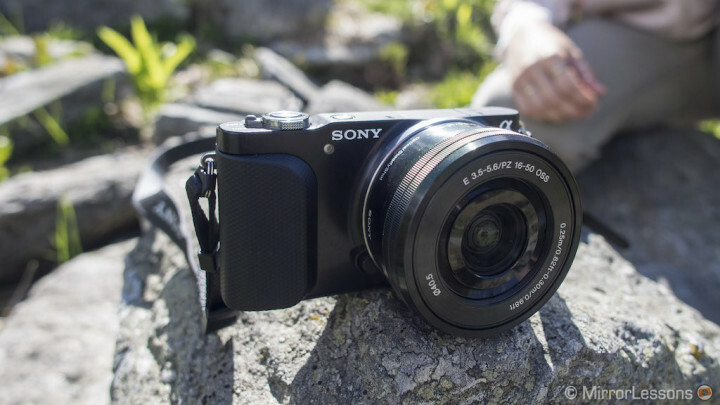 Certainly the brand concentrates more on certain models than others, with the first generation of A7 cameras having received less than the second, but it does show that Sony is making an effort. They also seem happy to address some of the long term demands (uncompressed RAW and a new menu system are two examples). For now however, they don’t excel in this department in comparison to other brands. I quoted Fujifilm but I could highlight the efforts of Olympus (the OM-D E-M1 is a perfect example) and Pansonic seems to have improved lately too. This doesn’t mean the other brands are perfect and they too release products that confuse customers more than anything else (Fuji X-E2s anyone?). So, is Sony’s strategy good or bad? My two cents is that it’s not terrible but it can definitely improve: I feel that the company should slow down, pay more attention to the usability of their cameras and small details instead of mainly prioritising the technical side. I definitely like the technological evolution that each camera brings and it’s true that there is more choice. It’s nice to see some requested features finally being integrated onto the new model and it’s reassuring to buy a camera knowing that it has the best sensor on the market and that the brand is a leader in that department. At the same time, I wish Sony would focus more actively on making their cameras great not just in terms of image quality, autofocus performance and 4K video but also everything else. I review many cameras and I can say that holding an X-T2, an E-M1/II or a Lumix G85 feels better than a Sony camera. This doesn’t mean I don’t like Sony cameras. We own two (A7r II and a6300) and have used them many times with satisfaction and great results. Even though the interface is not great, you learn to customise it in the best way you can. But because I review cameras for a living, I can’t just quote press releases if I think there is room for improvement, and in this case, I think there is. I’ve written this many times, and I will say it again. If Sony can improve the aspects I mentioned above, I am sure they can become a very powerful brand in the digital camera industry. Like our blog? Be sure to follow us on Facebook and Twitter!